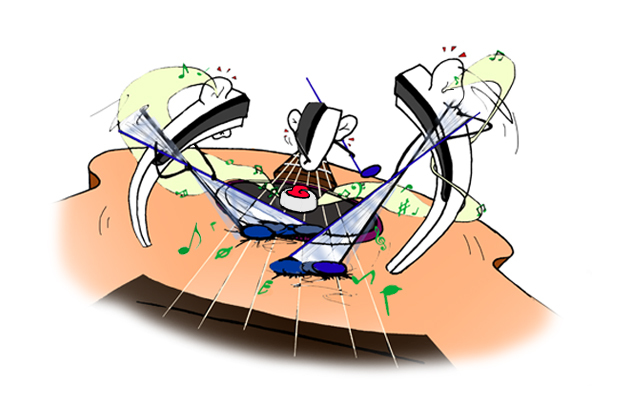 Perception of motion is here studied for monophonic, abstract sounds, in the case of biological movement and in multimodal situations (e.g. driving a car) or in immersive 3D audio environments. Through the control of synthesized friction sounds, specific movements are simulated and perceptually evaluated. The influence of spatialization on a person’s posture is investigated with an audio CAVE (HOA technique).